XACTIV is your independent, interdisciplinary, product research and product development consulting company, specializing in digital printing, material deposition technologies, and electro-mechanical and opto-mechanical systems and instruments. XACTIV understands the critical tradeoffs associated with concurrently achieving reduced product cost, enhanced product performance, and on-time delivery. 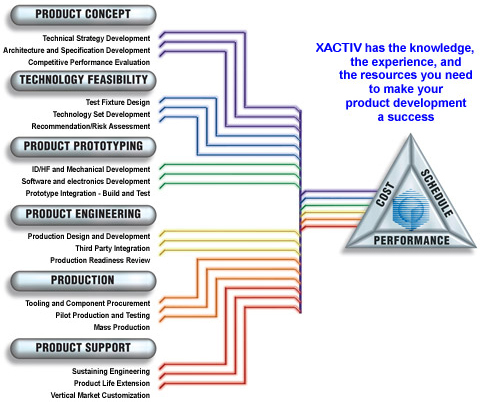 The XACTIV™ market-tested proprietary product development process maximizes your time-to-market performance, program success, and return-on-investment.